Bayu was born and raised in Jakarta, and worked as a veterinary paramedic at the famous Vitapet Animal Clinic from 2008-2011 where he decided to follow his heart make a career out of working with pets. He then moved to become a groomer at another well known pet shop, Pet N Pet. There he perfected the techniques required to fulfil the specific requests and desires of pet owners, and in 2013 he brought these skills with him to Bali when he moved to Sunset Vet. He is now based in Ubud branch where he leads the vet nurse team as well as being the lead groomer. A great addition to the team, Bagus has year of experience. Bagus is from Kediri in East Java, a town famous for its yellow tofu and banana gethuk. From 2007-2012 he worked as a groomer in Klinik Sehat in the city of Sidoarjo, before moving to La Femur Pet House in Surabaya for 3 years where he was Head Groomer. 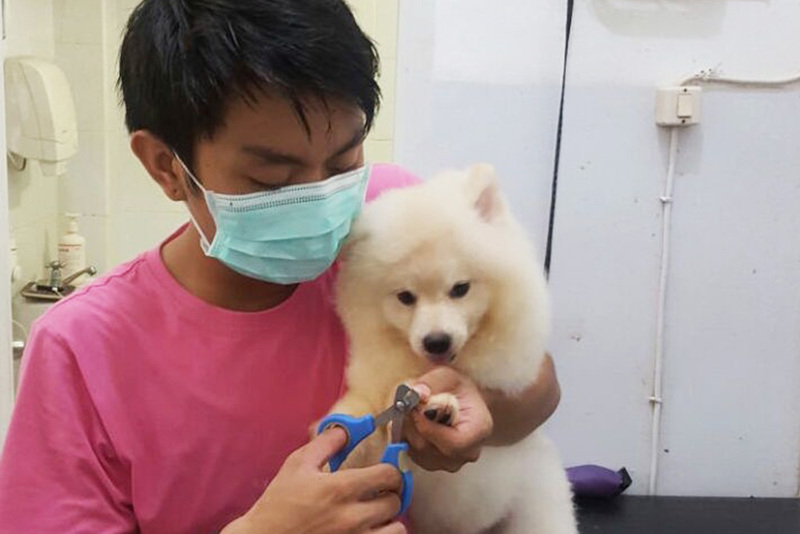 In 2015 he decided to move to Bali and joined Sunset Vet as a vet nurse, before becoming a dedicated groomer again as the service Sunset Grooming was launched. Bagus is a perfectionists with an eye for detail and loves making pets look gorgeous. Komang is from Singaraja and joined Sunset Vet in 2015 as a vet nurse, but after working in the clinic for a year it was noted that he had a passion and a talent for grooming so he was moved to the Sunset Grooming team. 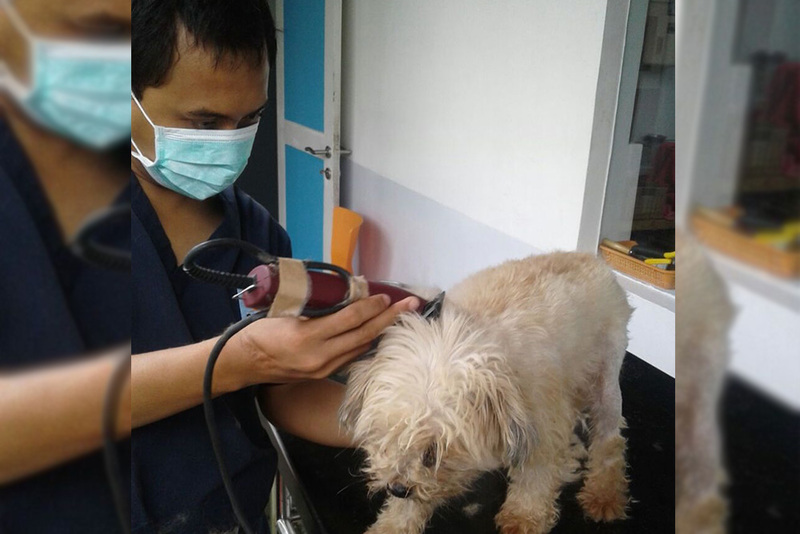 Komang loves washing and grooming both dogs and cats, particularly when they have skin problems. “I love seeing the transformation from when they have matted hair or sore skin, and after a medicated wash or haircut become fresh, beautiful and happy, they are our loyal friends and we have to take care of them”.